A decade on, the MCU has become far more experimental. There’s still a close connection between science and magic. Both Ant-Man and Doctor Strange were used to introduce different planes of existence. But rather than shunning the spectacular, the modern MCU embraces it. 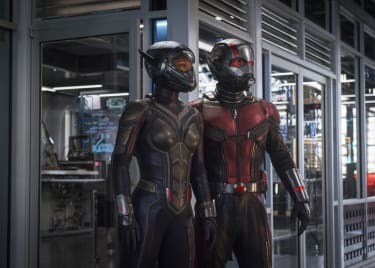 Ant-Man & the Wasp, due for release this July, is the ultimate proof. In the sequel, Hank Pym will launch an expedition into another dimension, the Quantum Realm, which can only be accessed by shrinking beyond subatomic size. So what is the Quantum Realm, and what can fans expect to see in this film? According to Hank Pym, the Quantum Realm is a dimension “where all concepts of time and space become irrelevant.” In a brief glimpse at the end of Ant-Man it was experienced as a surreal, fractal reality. Pym had long believed that entering the Quantum Realm was fatal, but Scott Lang returned unscathed. Thirty years ago, Pym lost his wife when her size-regulator failed and she shrunk beyond subatomic level, entering the Quantum Realm. Pym devoted the next year of his life to researching the Quantum Realm, but was unable to generate concrete data. Lang’s survival proved it was possible to survive in the Quantum Realm. 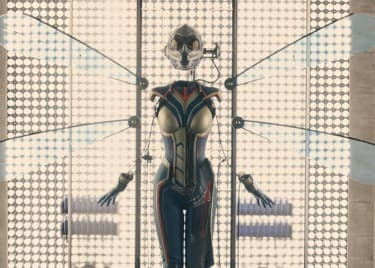 Pym’s wife Janet Van Dyne could be alive! Pym enters the Quantum Realm with science, but it’s possible to enter it with magic as well. Doctor Strange featured a blink-and-you’ll-miss-it nod to the Quantum Realm. In one scene, the Ancient One sends Stephen Strange careering across many dimensions, and he briefly enters the Quantum Realm. In the director’s commentary Scott Derrickson acknowledged that as a deliberate connection between the films. Marvel had carefully woven the narratives of science and sorcery together. It’s a genuine scientific theory, a core concept in quantum mechanics, and Marvel actually consulted with quantum physicists when producing Doctor Strange. In the MCU, the Quantum Realm is one of these dimensions; that means neither Scott Lang nor Hank Pym are truly able to understand their experience of the Quantum Realm. To that end, the trailer for Ant-Man & the Wasp revealed Hank Pym’s vessel, a ship he has designed to shrink down beyond subatomic level. Using this ship, Pym will enter the Quantum Realm in an attempt to find Janet Van Dyne. Given that Michelle Pfeiffer is playing the role of Janet Van Dyne in the film, he’ll clearly be successful. The Quantum Realm seems to be key to the future of the Marvel Cinematic Universe. In an interview with Inverse, quantum physicist Dr. Spiros Michalakis – one of Marvel’s consultants – revealed that Captain Marvel will feature the Quantum Realm to some extent. 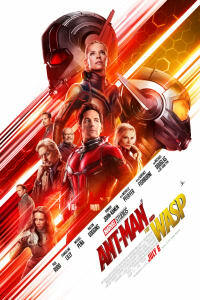 Both Ant-Man & the Wasp and Captain Marvel are set to explore the Quantum Realm. That’s particularly intriguing given these are the two movies due for release between Avengers: Infinity War and the as-yet-untitled Avengers 4. Many fans believe the Quantum Realm will somehow play a role in the final scenes of Infinity War. It would then then be explained by the next two movies before becoming a central concept in Avengers 4. 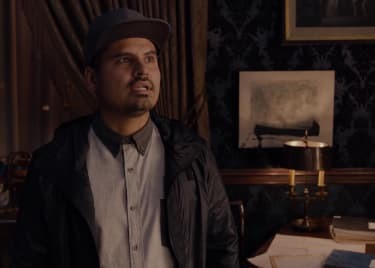 A popular fan theory is that the Quantum Realm can be used to travel through time, allowing the Avengers to rewrite history and prevent Thanos’s actions. Whether that theory is accurate or not, one thing’s for sure; the Quantum Realm is a key concept for the future of the MCU. Ant-Man & the Wasp may be a far more important film than viewers realize; you can see it on July 6, 2018.